Dubai-based flydubai has declared the release of Business Class services, centered on reviews from its travelers across its network of 60 locations, according to travel agents based in Muscat. Flydubai presently offers 28 flights per week to Muscat, making it one of the highest frequency routes. "We have great demand for this service, not only from those travelling for enjoyment or to visit friends and family, but also from business travelers. Offering regular, affordable air travel to allow business passengers to travel between Muscat and Dubai on the same day," a spokesperson of flydubai told Times of Oman. From the before week of May, flydubai began its services to Salalah, in the Sultanate of Oman, from Dubai. It at present operates three flights a week. "With Oman presently next door to the U A Emirates, there is a long history of sightseeing and trade between our countries. Through this new assistance, we hope to further improve these connections and create it simpler and more convenient to journey between Dubai and Salalah," Obaidalla, flydubai's chief commercial officer, said during the launch. 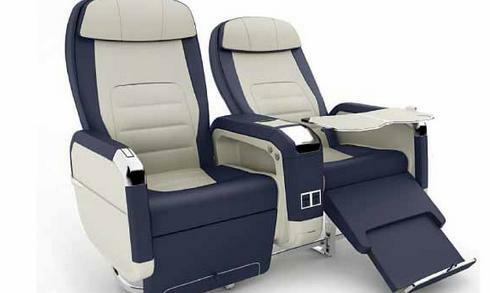 The flight will receive delivery of the first airplane with a business class cabin in August 2013. All new airplanes consequently provided will include business and economy classes. Business class tickets will be obtainable for buy on selected flights beginning in August 2013, and the first flight is scheduled to take off in October 2013.